The Reverend Canon Jennifer E. Reid, B.A., M.Div. Jennifer became St. Peter’s Incumbent in June, 2002. She served as Assistant Rector at St. Peter’s from July, 1995 after being Chaplain at Lakefield College School for four years. Previous to this, she was the Assistant Curate at St. Peter’s following her ordination in the Diocese of Toronto in 1989. Jennifer studied at York University and Huron College (University of Western Ontario). She currently serves on the OFOH Allocation Committee, the Postulancy Committee, and Professional Development grant team. Jennifer is married to Gordon Patterson and they have two sons, David and Matthew. Maria first came to St. Peter’s as a student when she was working on her Master of Divinity at Trinity College (University of Toronto). Ordained in 1999 in the Diocese of Niagara, Maria first worked as an assistant curate at St. Luke’s in Burlington. She returned to St. Peter’s after serving 15 years as school chaplain at St. Mildred’s-Lightbourn School in Oakville. She also served as the Honorary Assistant at St. Elizabeth’s, Burlington for over ten years. She is grateful to have the opportunity to work with the older adults connected to St. Peter’s as we deepen our faith together. Maria is widowed and has two adult daughters, Angelique and Gwendolyn. Clement Carelse was born in Cape Town, South Africa, into a long line of organists. He studied at Trinity College, London, the Royal Conservatory, Toronto, the Royal Canadian College of Organists and McMaster University. Having played in a number of parishes, he assumed the role of Director of Music at St. Peter’s Erindale in 2008. He has performed in many of Britain’s Cathedrals, and has conducted Choral tours no fewer than six times. He and Christine are owned by five cats! Jean has worked in St. Peter’s church office for 4 years and has over 25 years of experience as a secretary/administrative assistant in various industries. She supports the clergy and church committees, answers the phones, welcomes visitors and parishioners, produces the weekly Sunday bulletins, does the accounts payable and monthly financial reconciliations, sends out mailings, looks after space bookings and other duties as required. Jean is married to Kim Tucker and they have two grown children, Amy and Philip. Lydia feels honoured to have the opportunity to walk alongside the youth of the parish as they deepen their faith and grow into the person God intended them to be. Prior to becoming St. Peter’s Youth Minister, Lydia was a Law student at the University of Havana, and a Sunday School teacher at the Episcopal Cathedral of the Holy Trinity in Havana, Cuba. Lydia has completed the Diocese of Toronto Youth Ministry Apprenticeship Program and has a BA in Sociology from Ryerson University. 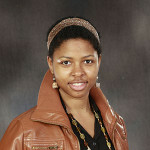 Currently, she is pursuing a Master’s of Social Work at the University of Toronto. Lydia loves reading and going for long walks with her husband, Eusebio Pons. She also enjoys listening to music, visiting museums or galleries, and watching plays. Wendy is available 4-5 days a month serving as spiritual director at St Peters. This ministry provides safe sacred space for individuals who are seeking a deeper spiritual life and/or are discerning God’s activity and presence in their life. Bill retired in 2007, following thirty-five years of parish ministry in the Diocese. In 2008, Bill and his wife Linda moved to Erin Mills and joined St. peter’s. Following an interim ministry at church of the Holy Spirit, Dixie North, Bill became an honorary assistant at St. Peter’s in 2009. From 2009-2011 he assisted Jennifer Reid with a focus on pastoral care. since 2012 he has assisted mainly with worship. Bill did his undergraduate degree at Waterloo Lutheran University, now Wilfrid Laurier, and his theological studies at Wycliffe College, University of Toronto. Bill served his curacy at St. Michael and All Angels, Toronto and was rector of the parishes of Coldwater-Medonte, Holy Trinity, Ajax, St. Matthew, Islington and St. Andrew, Scarborough. Over his years of ministry, Bill has been active in community organizations and diocesan committee work. He served as a mentor in the diocesan curacy program for twenty-three years. Bill and his wife Linda have two grown daughters and are the proud grandparents of Ethan and Sadie, Will and Andrew. Bill is a life-long sports fan and enjoys looking after the family cottage. Jim works full time as the Rights Advice Service Intake Coordinator in the Psychriatic Patient Advocate Office for the Ministry of Health and Long-term Care. 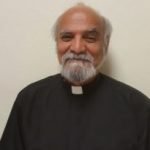 He has been a member of the Church of Holy Trinity in Toronto for the past 20 years and an honorary assistant there for the last five years.